Order Monkey Monkey Music CDs and DVDs! Makes a great gift or party favor! Order our new album, Macaroni. Includes new music currently seen on PBS stations around the country! Order the Let’s All Make a Circle DVD, with Monkey Monkey Music videos currently seen on PBS stations around the country! This 15 music video DVD is featured on PBS member stations and is a NAPPA Honors Award Winner. 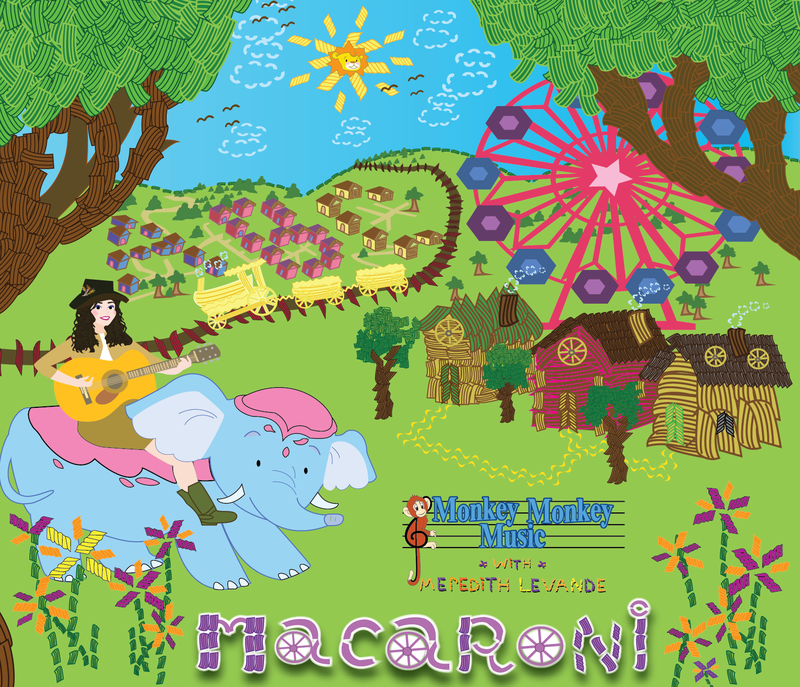 Monkey Monkey Music with Meredith LeVande became an instant hit with families nationwide, earning a grassroots reputation as a classic children’s record.